© Copyright is unknown for some of these images, please enquire if republishing any. I didn't know aout this 'merger'. Does anybody have details of when it occurred and why? 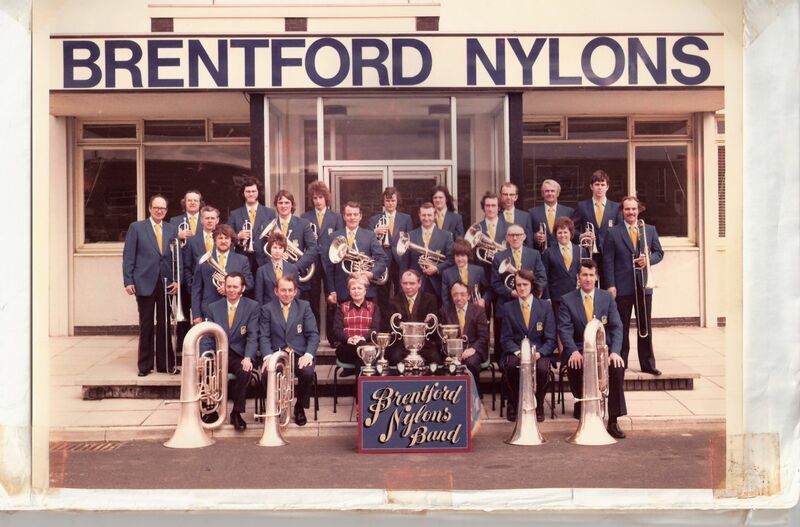 I think I was told it was because the pit closed (I had started to learn cornet in Netherton '72/3) and I don't believe it was a merger of two bands, but a change of name and "sponsor". The band moved into the factory for rehearsals at that time and continued for a few years but there were issues with where we played, often we would be in a corner of the canteen which was not ideal for a band practice or the workers trying to eat. My mum stopped playing altogether around 78/9(?) and my father and I moved to another band, whether this was because the band broke up or not I don't know. 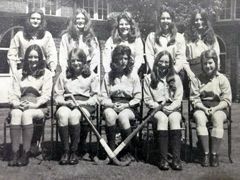 I think I was told it was because the pit closed (I had started to learn cornet in Netherton winter '72/3, probably the Institute/club?) and I don't believe it was a merger of two bands, but a change of name and "sponsor". I think these may be correct, 22 Arthur Brodie. 12 Clarence Milburn. See details on this thread, if I've copied the correct link, this seems to fit with my memories. 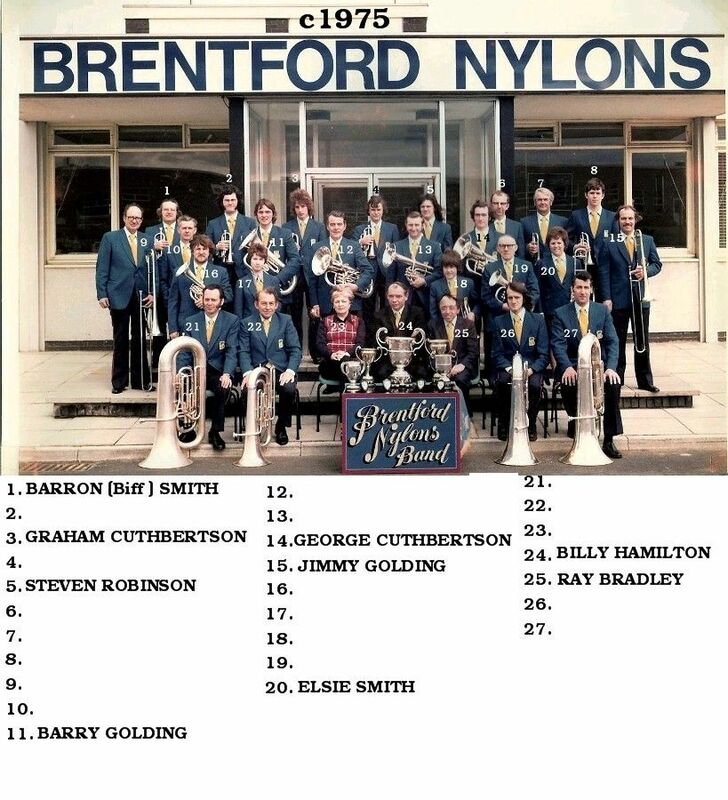 @Bandsman1966 - it was Deborah Golding (Facebook group Bygone Bedlington) that gave me the names and she commented :- Jimmy was my dad, Barry is my uncle- he says he remembers this like it was yesterday. It was the year that they won the Picnic. I sent her a copy of your photo, via Facebook Messenger and she is going to see if her mam , and uncle, can name some more. I remember Jimmy well, and I think I remember Deborah. We lived on the Wansbeck Estate from the late 60's, by the middle shops and my folks stayed there until the 90's, the Golding's were only a few minutes walk away. If they won the picnic in 75 that was the year before my avatar pic was taken. A press photographer posed mum and I on Front Street, it was probably the NP Leader? 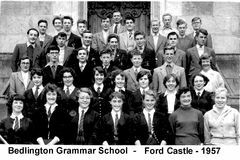 As you can see I was too small for a blazer. 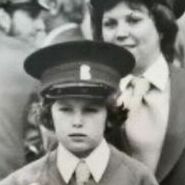 Actually I was too small for the hat and the horrible crimplene kipper tie too. Ten years old and marching with the band, I was so proud.